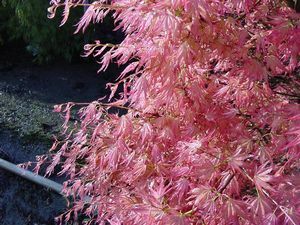 Orange to pink colored leaves in spring. Summer leaves are green, turning bright orange in fall. Grows 7' in 10 years.